So, it's a Saturday night and I've got some friends around and we're doing what we do every Saturday night, what's that you ask? go to crazy parties? go clubbing in our best Chino's and Topman T-shirts with weird Aztec prints? having Jaegerbomb races? No, it isn't any of those thing's, instead we for some reason opted to walk down to Tesco and buy three face masks (clean pores!) 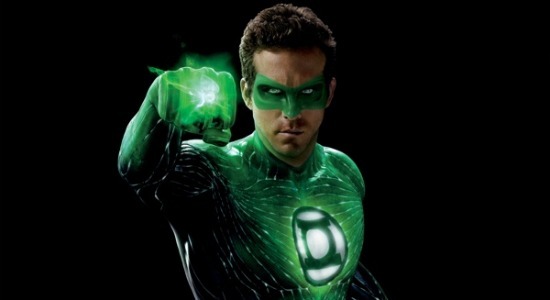 and a £4.99 copy of the Green Lantern movie. but also watch it with me (even though one of them is blowing off a date for this, weird right), this may be to make sure i don't kill myself half way through though, but hey who knows. 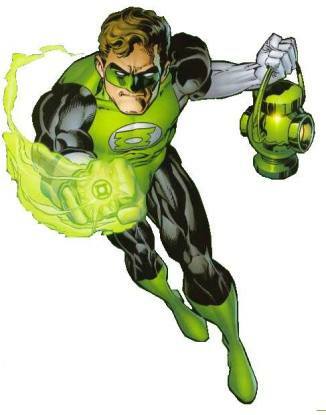 but i really am, as a 90's child i was brought up by Kyle Rayner, who was pretty much the most 90's character ever invented, and after reading every comic i could find with him in i moved on to the older comics, now don't get me wrong Kyle Rayner will always be my favourite, but Hal Jordan was always THE Green Lantern. shows up and screws up within an hour of work and then shows up late to his nephews birthday so that he can talk to his nephew for what seems like 20 minutes about how big a failure he is. But luckily what Reynolds lacks in any kind of character he makes up for in abs, which i guess is meant to be a good thing? I mean who cares if the character is likable as long as they have bangin' abs right? honestly that's pretty much the only message i got from this movie, he doesn't learn anything, he doesn't become a better person, he trains for 10 minutes and becomes the greatest Green Lantern in the universe, if the Lantern rings ran on whining rather than willpower then it might make a tiny bit of sense. 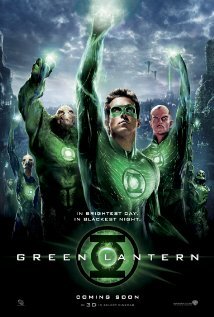 Probably the best part of this movie is the fact that the villains are the funniest villains on screen in any DC movie, a guy with a giant forehead and a giant cloud of ash are probably about as scary as a kitten, every time forehead guy (or Hector, whichever you want to use) comes on screen, you don't exactly think threatening you think, hey he looks kind of like my old Scouts leader. anything but watch this movie, but i mean if you're just looking for something to watch drunk at 3AM and you don't know anything about any DC characters, go wild, this is probably the movie for you.